U.S. Secretary of State John Kerry dismissed as “farce” the upcoming Syrian presidential election of June 3, but it may prove to be a step toward a political solution to the Syrian crisis. This election is an exercise in real democracy. 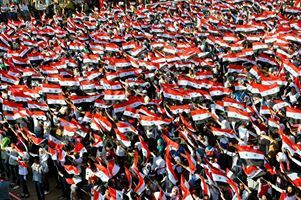 On Feb. 26, 2012, in response to demands for constitutional change from the Syrian people, the Syrian constitution was reformed and ratified by a general referendum to allow for multiparty elections. In fact, this will be the first free election in Syrian history in which more than one candidate has stood for election for president. If Western governments are really interested in bringing freedom and democracy to Syria, why would they oppose it? The new Syrian constitution requires a presidential election by July. If there weren’t an election, President Bashar Assad would no longer have a mandate to rule, which, of course, is the principal reason Kerry doesn’t want the election to take place. The U.S. has been the main architect of the covert, illegal war against Syria organized through the so-called “Friends of Syria Group,” including Western countries such as Canada, as well as Arab monarchies, such as Saudi Arabia and Qatar, who have organized mainly non-Syrian mercenaries — many openly allied to al Qaeda — to attempt to overthrow the Syrian government. It’s important to note that the mercenaries, controlling 30 per cent of Syrian territory, not only oppose, like Kerry, the June 3 election, but also refuse to hold elections in territory they control. The reasons are twofold: first, they would be voted out by the Syrians who live under their brutal foreign occupation. Secondly, their paymaster is the Saudi government, which is an absolute monarchy and tolerates no opposition. Kerry also dismissed the upcoming election because tens of thousands of Syrians have been displaced by the fighting. It’s too bad Kerry isn’t familiar with U.S. history. Abraham Lincoln authorized a presidential election in 1864 in the midst of the bloody U.S. Civil War when the South was mostly under Confederate control. The U.S., moreover, has a dismal track record in not respecting democratic elections and elected leaders. It has staged coups against dozens of elected governments around the world since 1945 and deposed scores of elected leaders, including most recently, Aristide of Haiti, Chavez of Venezuela, and Yanukovych of Ukraine. Its own elections are rife with voter suppression of minority populations, huge inequalities in campaign spending, fraudulent practices and extremely low turnouts. Kerry lives in a veritable glass house and shouldn’t throw stones. Kerry is also personally responsible, whether he admits it or not, for the Syrian election being called at this time. At the Geneva 2 Conference last January, he sabotaged any chance of an internationally sanctioned, transitional government being formed in Syria by insisting Assad couldn’t be part of it. This insistence flew in the face of the Geneva 1 Communique (June 30, 2012), which stipulated there would be no preconditions to talks. Because the Geneva 2 Conference collapsed without reaching consensus, the Syrian government went ahead with the scheduled presidential election. For that election, the Syrian government secured promises of election observers from the BRICs countries (Brazil, Russia, India, China) to verify its fairness. However, Kerry went in the other direction. He and U.S. President Barack Obama personally welcomed leaders of a segment of the armed opposition to set up a bureau in Washington and promised them even more aid in their quest for regime change in Syria. It’s no wonder that Lakhdar Brahimi, the special UN mediator, threw up his hands and resigned a few days ago. 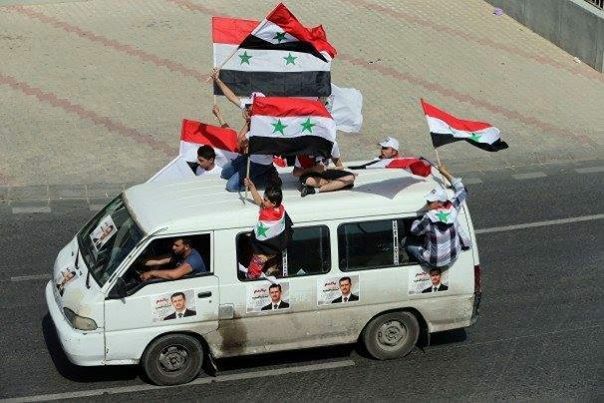 In areas controlled by the Syrian government, ordinary people are excited by the prospect of the election. Rallies and debates are taking place daily. Syrian expatriates are excited about voting in the three-way presidential contest as well. However, in North America, Syrian citizens will be denied a vote because the Harper and Obama administrations have shut down Syrian embassies. It’s too bad the Harper and Obama governments are again standing in the way of democratic change in Syria. The June 3 election might signify an important step toward national reconciliation between significant sectors of Syrian society and lead to a political, rather than military, solution to the conflict there.